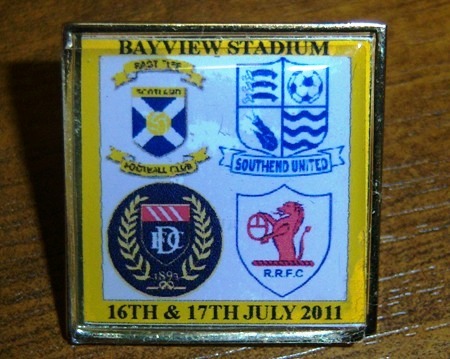 Dundee played Southend after hosts East Fife beat local rivals Raith Rovers 7-6 on penalties. Dundee had three trialist in their lineup, including Ewan Moyes, Neil McGregor and a mystery winger. Rhys Weston returns as captain after his foot injury which is a big bonus. Dundee score after 10 minutes Jake Hyde gets to the bye line and his cross was a tap in for Graham Webster to score his first goal for the club. Both teams have chances but it's 1-0 Dundee at half time. Dundee get the second half underway and both teams have chances with Southend hitting the post and forcing Rab Douglas into a few saves. Dundee had chances as well and good defending kept them out. 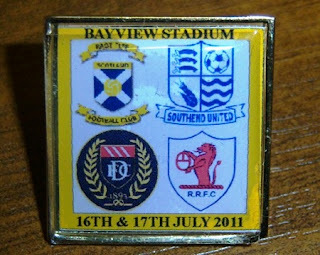 After a good run from Kyle Benedictus he laid the ball on to Hyde who dummied and Graham Bayne curled the ball home to seal Dundee's place in the final tomorrow against hosts East Fife. By reports all the trialist's played well. So a good first day for the Dark Blues.